Scroll Down to Join the Fun! dip in! dive in! surf in! Stroll In! DROP IN! For the tastiest food in the neighborhood! We have a wonderful, quaint and comfortable dining room which is always a great place to get out of the weather. But you really should dine outside on our delightful patio where you can watch the world stroll by. This is especially true for those days when eating inside would be a crime. You're busy with things to do, places to go and people to meet. 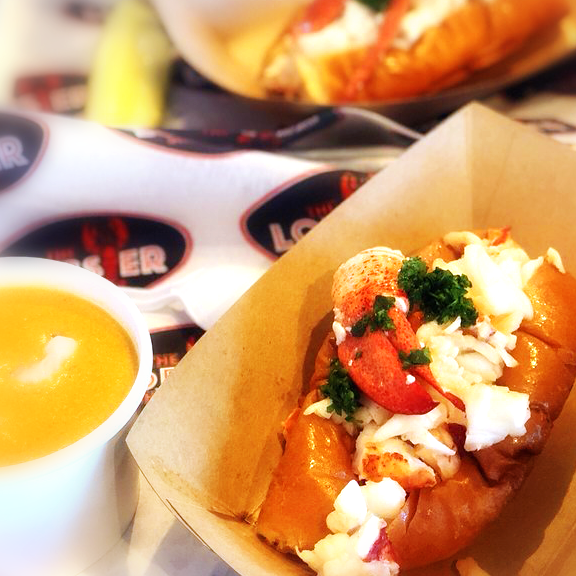 The Lobster Shack has you covered. Let us take care of the food. We'll cook up a great meal, pack it to go, just for you and those you intend to share it with. You are going to share aren't you! We get it! You just want to enjoy your time at the beach. Count on us to make it delicious. Our servers cover the nearby beach to take your order. We'll then cook up some great food and deliver it right to your beach chair, blanket or sand castle. Relax! Our promise is to serve delicious, affordable food that will make you want to come back again and again. Come join Chris, Jori, Bryce, Paul and the rest of the family here at The Lobster Shack for an enjoyable time out with your family and friends.